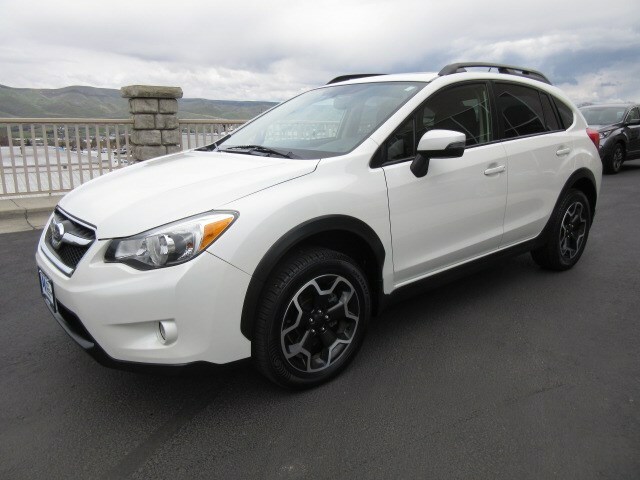 Load up your friends and set off for adventure in our 2015 Subaru XV Crosstrek 2.0i Limited AWD SUV presented in Crystal White Pearl! Powered by a horizontally opposed 2.0 Liter 4 Cylinder Subaru Boxer that offers 148hp while paired with a Lineartronic CVT for an instant acceleration to make you smile. With our All Wheel Drive, you will score near 33mpg on the open road while still enjoying that sports car vibe that serves up brilliant handling, tenacious traction, and incredible capability. Take a moment to admire the sporty stance of our XV Crosstrek 2.0i Limited and you'll certainly be intrigued! Open the door to our 2.0i Limited, settle into supportive seats and take in the ergonomic design filled with a wealth of amenities including heated leather seats, moon roof, keyless access, ambient lighting, automatic climate control, a cargo cover, and a 60/40 split folding rear seat. The technology is easy to use with a prominent touchscreen display, Bluetooth, smartphone integration, GPS navigation, hands-free text messaging, infotainment with satellite radio, and a terrific sound system with CD/USB/auxiliary jack. Our XV Crosstrek from Subaru earned top safety rating thanks in part to a rearview camera, automatic headlights, stability/traction control, anti-lock disc brakes, a multitude of airbags, and active front head restraints. Get the most out of every day with this practically perfect blend of creature comforts, performance, efficiency, and utility! Print this page and call us Now... We Know You Will Enjoy Your Test Drive Towards Ownership!